BradyGames Takes Your Game Further with video strategy guides. 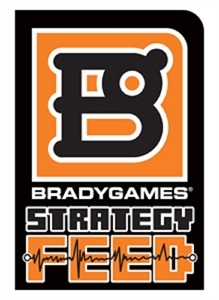 Visit www.bradygames.com for all your strategy needs. Batman A.C. : Solve all the Riddles in the Steel Mill. BradyGames Batman Arkham City, shows you how to find all solve all the Riddler's Riddles in the Steel Mill. Batman A.C. : Solve all the Riddles in Wonder City. BradyGames: Batman Arkham City, shows you how to find and solve all the Riddler's Riddles in Wonder City. Batman A.C. : Solve all the Riddles in the Subway. BradyGames: Batman Arkham City, shows you how to find and solve all the Riddler's Riddles in the Subway. Batman A,C. : Solve all the Riddles in the Amusement Mile. BradyGames: Batman Arkham City: Shows you how to find and solve all the Riddler's Riddles in the Amusement Mile. Batman A.C. : Find and solve all the Riddles in the Bowery. BradyGames Batman Arkham City, shows you how to find and solve all the Riddler's Riddles in the Bowery. BradyGames: Batman Arkham City, shows you how to find and solve all the Riddler's Riddles in the Museum. Batman A.C. : Solve all the Riddles in the Industrial District. BradyGames: Batman Arkham City, shows you how to find and solve all the Riddler's Riddles in the Industrial District. Hidden collectibles in Act V.
BradyGames Strategy Feed reveals how to find all the hidden collectibles in Act V of Gears of War 3! Experience BradyGames strategy for Saints Row Activity: Hitman in video format. Watch and learn how to take out all of the targets on your hit list.